"Normal School Gardens, Providence, R. I." by Chas. H. Seddon, Providence, R.I.
Normal School Gardens, Providence, R. I. Used. Postmark: August 12, 1914. Chas. 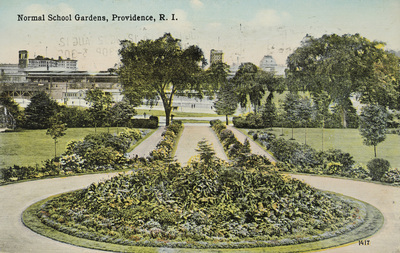 H. Seddon, Providence, R.I., "Normal School Gardens, Providence, R. I." (1914). Rhode Island Postcards. 213.